In Cloud Factory, we see huge amounts of data floating through the former industrial spaces of the Guangdong Float Glass Factory in Shenzhen. First, bits and pieces of information representing urban life in Shenzhen move chaotically across the walls, resembling the multifaceted dynamism of urban life itself. Yet, just as in cities, the versatile actions of millions of individual entities eventually coalesce into the recognisable patterns and rhythms that make urban life manageable. Every now and then, the floating data particles in Cloud Factory fuse into a coherent configuration. The maps that result in these moments of crystallisation are not just meant to be pretty pictures. They can be understood as “action maps” offering a glimpse of opportunities for redevelopment that are consonant with local social and economic trends. Many of these conditions might be invisible to the human eye and even elude the sensory capacity of scientific and bureaucratic measuring and classification instruments. They only become visible once we tap into the dynamic data streams that ordinary citizens and institutions alike leave behind, often unconsciously, when they surf, tweet, track, record, check in, like, buy, call, receive, ping, store, connect, search, build, plan, invite and play. 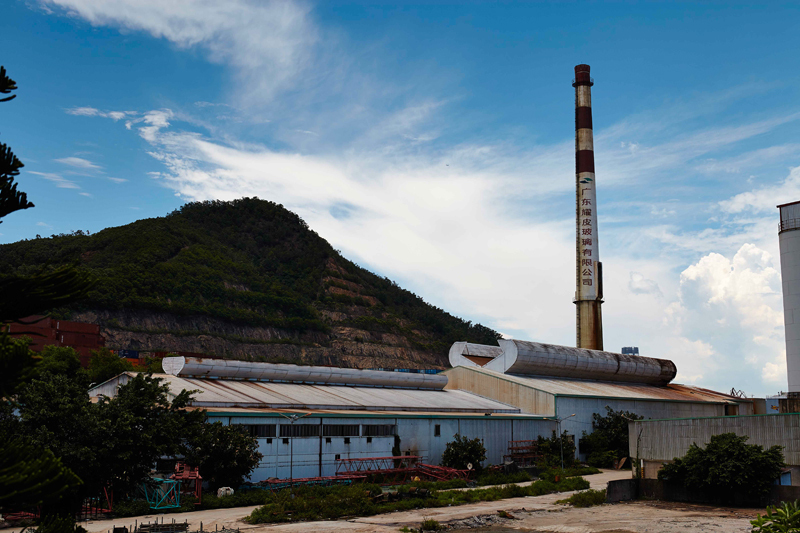 There is an interesting link between this new production of value and the old industrial kind that once ruled the Guangdong Float Glass Factory site. 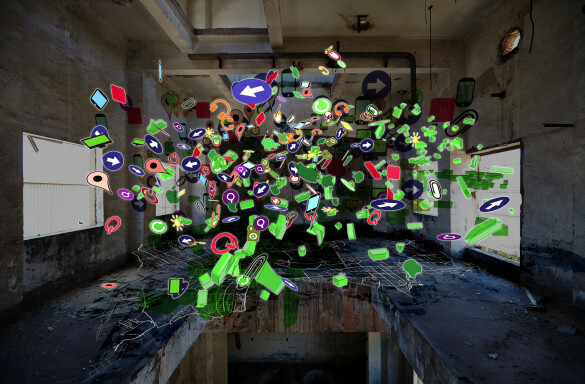 Both “big data” and large empty factories are the remnants, byproducts and loose ends of large-scale processes of economic production and urban life. In the case of big data, this “waste” turns out to be a treasure trove of knowledge and an open source of valuable insights and creative material. Cloud Factory explores this new kind of value creation by enabling the public to interact with the data in search of new insights. It gives us a peek into a not-so-distant future in which we will be able to interface with the Web in new ways, not just consuming endless pieces of content and supply simple feedback but actively using its peripherals to tap into its knowledge and empower ourselves to be more conscientious and creative. Mark van der Net (b. 1982) studied electrical engineering and architecture and urban planning at the Eindhoven University of Technology. He operates at the interface of technology and culture, exploring the ways in which science and technology challenge existing cultural structures while those structures in turn shape the development of technologies and science. In 2013, Van der Net created the free online platform OSCity.nl with support from Het Nieuwe Instituut and the Creative Industries Fund NL. This open data platform invites everyone to discover the potential of cutting-edge information technology for serving the common good. What would happen if spatial planning worked more like the open-source movement? In answering this question, OSCity explores how we can generate value by sharing insights, designs, feedback and methods of optimisation.